Tag Archives for " Think Big Partners "
This past week I made a business move that to me embodies a great deal of the change that’s gone on in business over the last few years. I’ve owned my own business for twenty-years now and in some fashion have operated pretty much like most traditional small businesses. Sure I’ve been online longer than most, and I’ve never actually met my bookkeeper face to face, but I’ve also had an office with desks and chairs and printers and coffee pots and conference tables and servers and trash cans and supply closets and all the trappings of a standard office. As my organization has grown over the years so too has my need for space and stuff to fill up space. But a funny thing started to happen on the way to growth and change. As we moved things to the cloud we needed less physical stuff. As technology got better we needed fewer in-person meetings. As our reach expanded nationally and then globally we started to employ technology and engage talent wherever we found it. My last office space – and by last I mean both the most recent and last I suspect I will rent – was just over 3,000 square feet and while my team is currently seven people on average the “office” was used by 1.75 of them on any given day. Between work from home staff, virtual staff and my current travel schedule, an office no longer makes sense. I believe this is the case for most every business these days as well. I interviewed Jason Fried, co-founder of Basecamp and author of REMOTE, for the Duct Tape Marketing Podcast recently and he shared this view as well. While Basecamp has an office in Chicago, their staff is spread around the globe. Fried contends that their posture on remote work has allowed them to attract elite talent that would not have considered coming on board otherwise. Even Chicago-based staff members rarely come into the office unless collaboration is made easier by doing so. One of my daughters works for Buffer, and while they maintain a small space in San Francisco, most of their staff works remotely. From what I’ve witnessed through my daughter’s experience Buffer has a stronger internal culture than any company I’ve worked with that maintains and internal staff and office. It’s funny but when I started my business almost three decades ago, “I’m going into business for myself,” kind of meant, “I can’t find a job,” and a home based business was sort of not really a business. Today everyone wants to start a business, and the ultimate business model is an online business you can run while the kids rumble all around you throughout the day. For now, I’ve taken what I think is the perfect hybrid step for my business. 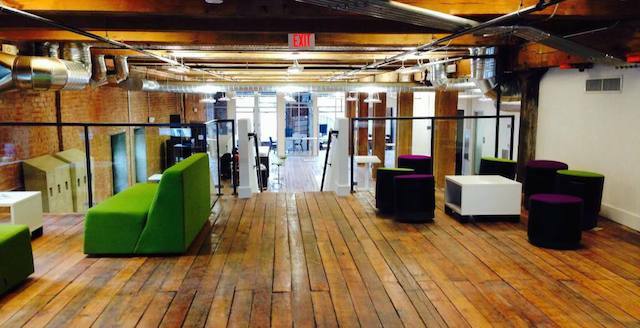 I’ve rented 150 square feet of private space in a co-working space in Kansas City called Think Big Coworking. The reason I call this the perfect hybrid is that it provides us with many of the benefits of a physical space on an as needed basis and also supplements many of the things we either weren’t able to offer staff or doing so would have been far too much work for a small group. We have a full kitchen, coffee bar (free Red Bull anyone?) and snack shop. We have printers, a copy center and a mail center. But perhaps equally as significant, we have a community of like-minded business owners and smart hustlers all around us. We have access to service providers who we will come to know on a personal level. My staff members are energized by the fact that there’s a vibrant culture that exists in the space that’s greater than the work they do for us. They have built-in networking, learning and development opportunities that come to them every week. Obviously, I’m not the first person to promote the virtues of co-working space, but they are often associated with startups only. I believe there’s now a tremendous opportunity for co-working communities to attract and serve more mature businesses that have begun to see the value of this mindset. As business continues to evolve, I think community space is the future of work and the new office as we’ll come to know it. 0	Tech Startup Scene in Kansas City Is Red Hot! Lots of tech start-up activity is taking place in Kansas City, home of Duct Tape Marketing, the Kauffman Foundation and the first city to receive Google Fiber in late 2012 in an estimated half billion dollar investment. Long referred to as the “Silicon Prairie,” Kansas City is quietly making its mark as a great place for startups of all flavors. Here’s a roundup of some recent projects going in KC. Ten startups launch into the Sprint/Techstars Mobile Health Accelerator: Ten mobile-health related startups from across the U.S. and Australia arrived in KC this week for a three-month intensive mentor-driven program. This is a Sprint (NYSE: S) and Techstars partnership to develop solutions that encompass hardware, software platforms, big data and mobile apps in the healthcare industry. Spokespeople include Kevin McGuinnis of Sprint and Ryan Weber of KCnext. Digital Sandbox KC companies raise $7M in less than one year: This month, Digital Sandbox KC announced it has helped 19 startups raise $7 million in follow-on funding, surpassing its goal six months early. Initially funded by a $1 million federal i6 Challenge Grant, Digital Sandbox KC provides early-stage technology companies with up to $25,000 in resources (not cash) to help them grow. Spokespeople include Jeff Shackleford, director of the program, and successful startups like ShotTracker, Trellie and Divvy. Google announced expansion of Fiber to nine new metros: Kansas City became the first city to receive Google Fiber in late 2012 in an estimated half billion dollar investment. Startups using Google Fiber include Brandon Schatz of SportsPhotos.com, Neil Anderson of Psicurity and Handprint, a 3D printing company that won the Brad Feld competition to live rent-free for a year in the KC Startup Village. Other initiatives backing startups in KC are Think Big Partners, an early stage accelerator in partnership with Microsoft Ventures and BetaBlox, a Kansas City business incubator and accelerator that just announced it’s expanding its model beyond Kansas City. I recently attended the BetaBlox Demo Day and discovered a decidedly non tech startup called Ship and Dip. I loved the concept and founders so much I decided to become an adviser. 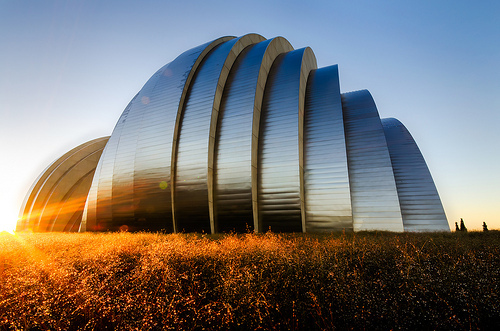 If you’ve not checked out the startup scene in Kansas City you’re missing out!